She’d made it sound as though her husband would be joining them for dinner. She’d made it sound that way on purpose, and then she arrived alone. Los Angeles, 1934. Mary Frances is young, restlessly married, and returning from her first sojourn in France. She is hungry, and not just for food: she wants Tim, her husband Al’s charming friend, who encourages her writing and seems to understand her better than anyone. After a night’s transgression, it’s only a matter of time before Mary Frances claims what she truly desires, plunging all three of them into a tangled triangle of affection that will have far-reaching effects on their families, their careers, and their lives. Set in California, France, and the Swiss Alps, The Arrangement is a sparkling, sensual, and completely enveloping story of love, passion, and a woman well ahead of her time, who would go on to become the legendary food writer M.F.K. Fisher. The Arrangement gives vivid voice to the complicated, fascinating, rule-breaking MFK Fisher. Ashley Warlick’s confident and lyrical prose brings the famous food writer’s world—from California to France to Switzerland; from her family to her husband to her lover—to life in sensual and deliciously literary detail. When I finished reading, I wanted to turn back to page one and start all over again. 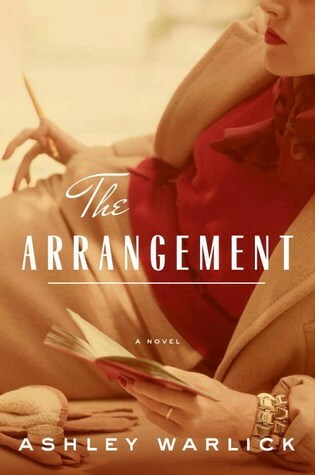 The Arrangement is a ravishing depiction of the time when MFK Fisher was giving herself over to her essential appetites—for language, food and consuming passion—living fully to the edges of herself for the first time, no matter the price. Ashley Warlick’s prose, sharp and true as the edge of a honed blade, is as much a revelation as Fisher herself. Absolutely dazzling.